Established in 2011, Lalun is a world music ensemble comprised of Liron Man (Israel/Spain) on hand pans & flamenco guitar, Lan Tung (Taiwan/Canada) on erhu (Chinese violin) & vocals, and Jonathan Bernard (Canada) on percussion. With their unique instrumentation and hypnotic intercultural sound, this international ensemble presents original compositions and traditional music from Europe, Asia, and the Middle East, coloured and influenced by its members’ roots in Chinese, Flamenco, Galician, and Jewish music. Although fresh on the scene, Lalun’s members bring over 50 years of professional musical experiences to the stage. Liron Man works regularly with top artists in the fields of Arabic and Jewish music in Israel. He has toured actively in Europe and North America. Liron has been living in Spain to study and perform flamenco music in the past four years. Crossing between Canada’s new music, improvised music and world music scenes, Lan Tung brings expertise as a composer, producer, band leader and artistic director, as well as performer, as a soloist and with her ensembles in North America, Europe, and Asia. 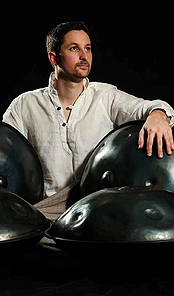 Jonathan Bernard combines his background in western percussion with a fascination for Asian traditions to create a unique sound palette, incorporating a myriad of instruments, techniques and styles. His interests span from orchestral music to contemporary chamber music to world music. All three musicians have studied various musical styles and led numerous innovative cross-cultural projects. Their meeting in Lalun allows them to co-create original music with a unique instrumentation. Liron Man received his musical training in Israel, playing piano, with his first performance at the age of 10. At the age of 12, Liron discovered the electric guitar and began to perform in ensembles of various styles such as Rock, Pop, Metal, and Avant Garde Jazz, playing original music including his own compositions. 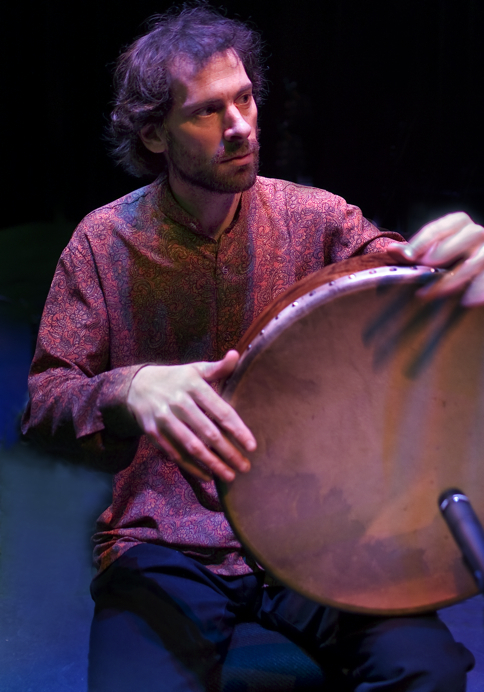 In 2006, Liron bought his first hang drum and immediately felt a connection with the instrument. Over the years, Liron has developed a clean, harmonious technique, with astounding speed and accuracy combined with his love for Middle Eastern and Flamenco music. Liron is considered as one of the leading hang drum artists in the world today, and he has influenced many players. His concerts are unique and captivating experience for the audience. Since 2010, Liron has dedicated himself to the world of flamenco and specifically flamenco guitar. Today, Liron is living and studying in Andalusia, the core of flamenco in Spain, and is touring internationally as a soloist and collaborator, including venues such as Gran Teatro de Elche – Elche, Spain, Villa Mazzacoratti – Bologna, Italy, Museo e Biblioteca internazionale di la musica di Bologna – Bologna, Italy, Teatro Circo – Orihuela, Elche. 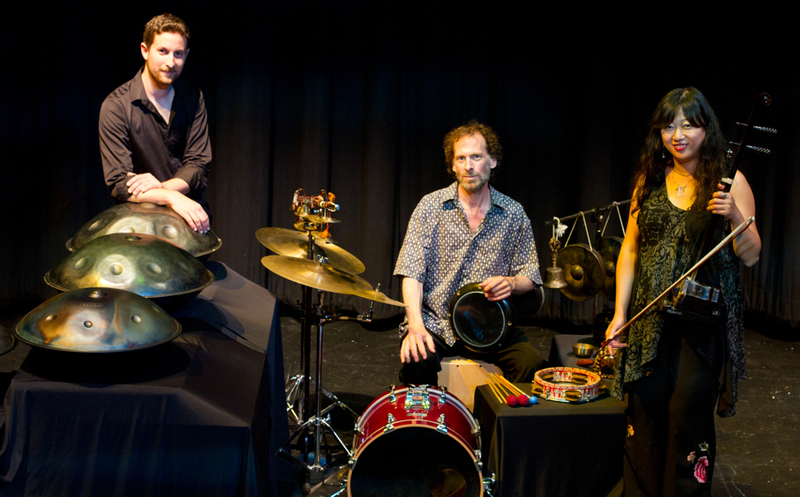 Hang was created in 2000 by Switzerland makers Felix Rohner and Sabina Scharer, after years of research on various percussion instruments around the world: steel pan, gong, gamelan, ghatam, drums, cowbells…. In the Bernese language, hang means hands since this instrument is played by the fingers, similar to a “hand drum”. The hang is tuned to modal scales, which can be designed and ordered individually to create unique series of pitches. 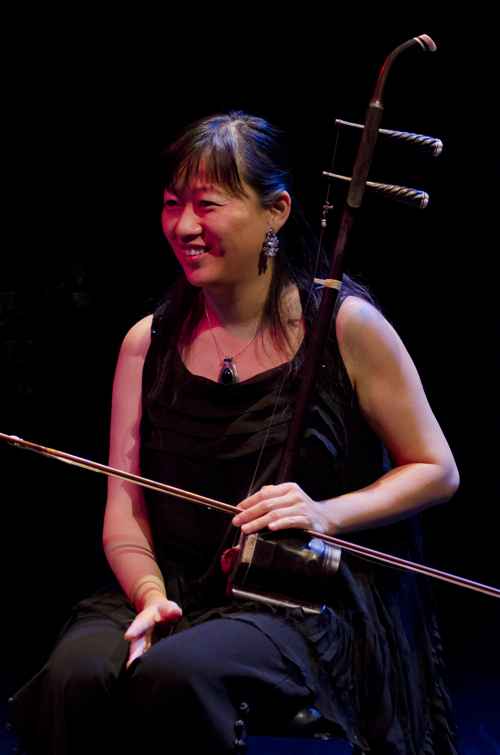 Crossing between Vancouver’s new music, improvised music and world music scenes, erhu/Chinese violin performer and composer Lan Tung is the artistic director of the Orchid Ensemble. Her latest project Proliferasian performs her own compositions for improvising musicians. She also performs with the world/Indian fusion band Tandava, contemporary jazz/improv trio Birds of Paradox, and Mozaico Flamenco Dance Theatre and serves as the vice president of the Vancouver Inter-Cultural Orchestra. Originally from Taiwan and trained extensively in Chinese music, Lan enjoys experimenting with contradictions by taking culturally specific materials outside their context and fusing them with other genres. Lan’s composition credits range from chamber, improvisational, world and fusion, theater, dance, choral to film music. Her music has been released on a number of CDs, winning multiple nominations by the JUNO Awards, Independent Music Awards, Canadian Independent Music Awards, and Western Canadian Music Awards. Lan has studied graphic score with Barry Guy, improvisation with Mary Oliver, Uyghur music with Abdukerim Osman, and Hindustani music with Kala Ramnath. At the Vancouver Creative Music Institute (2007-2009), she has studied and performed with Han Bennink (Holland), Barry Guy, Evan Parker, John Butcher (UK), Francois Houle, Paul Plimley…etc. Lan has been a soloist with Orchestre Metropolitain (Montreal), Symphony Nova Scotia, Turning Point Ensemble (Vancouver), Little Giant Chinese Chamber Orchestra (Taiwan) and Orchestra Armonia (Vancouver). Lan has toured in North America, Europe and Asia. Her recent performances included the Kennedy Centre, the Chan Centre, the Smithsonian Institute, Ottawa Chamber Music, Folk and Jazz festivals, Vancouver Jazz and Folk festivals.